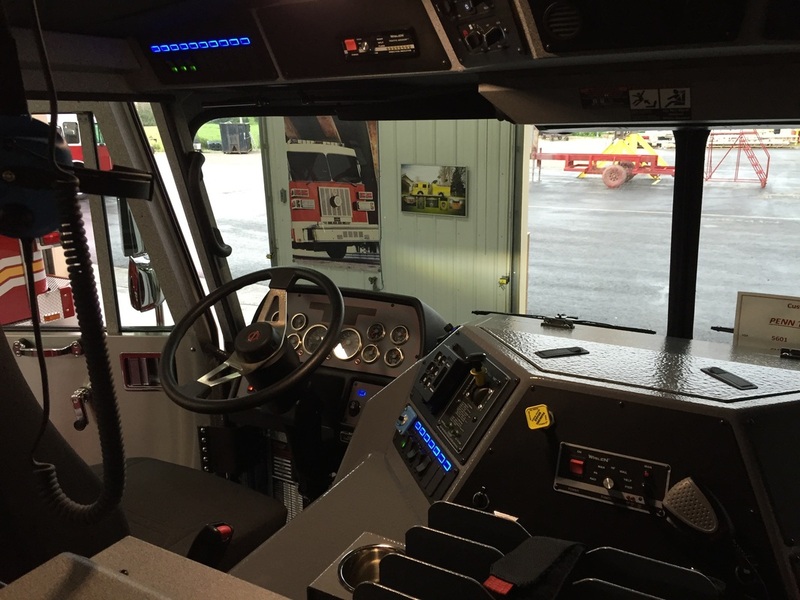 Built for strength, durability, convenience, and safety, a Sutphen cab will last and last, holding up to the of the daily grind of firefighting operations with ease. With a long list of available options and configurations, its custom each and every time we build one. All Cabs are available in 56”, 62”, and 73” lengths with raised roof options in 10”, 15” and 20” heights. 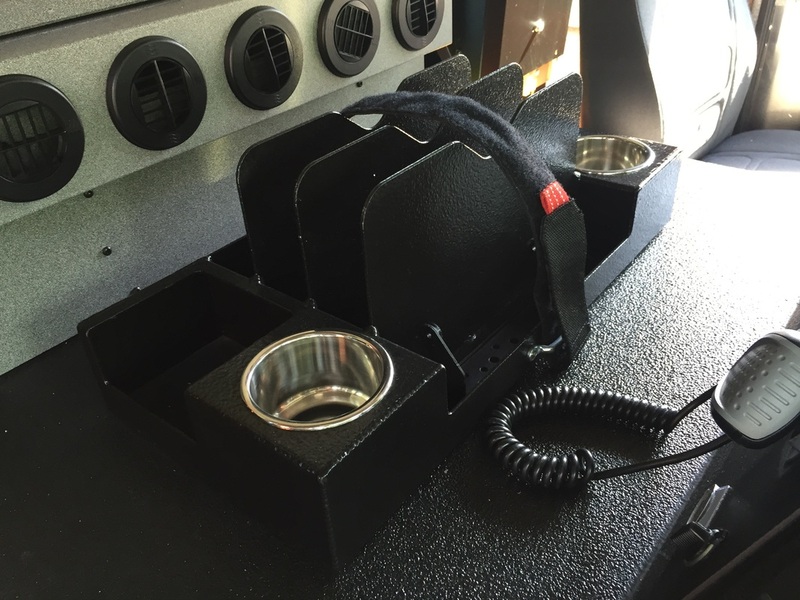 We utilize high quality, extreme duty products to provide a rugged interior. All Sutphen apparatus are equipped with Bostrom ABTS seats with SecureAll SCBA locking system and embroidered with the Sutphen logo, or your department emblem. The seats are covered in heavy duty Durawear cloth with rubber backing for durability. 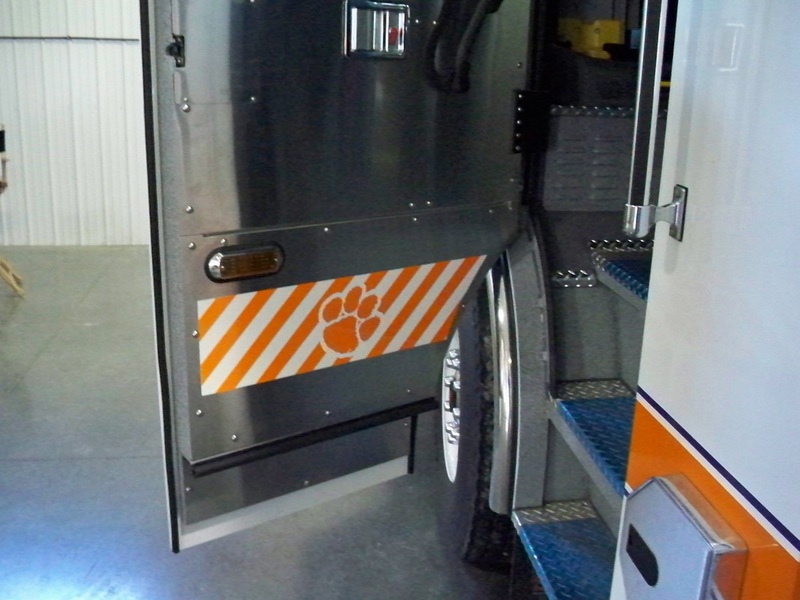 There are no plastic trim panels, and all inside cab door panels are covered entirely with brushed stainless steel for durability. 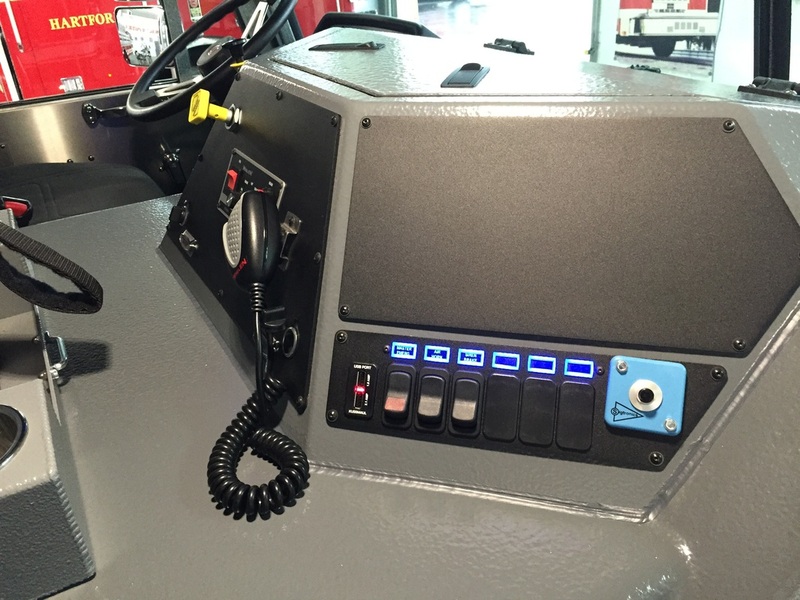 Dashboard, switch console, and engine hood are covered in a rugged urethane coating. 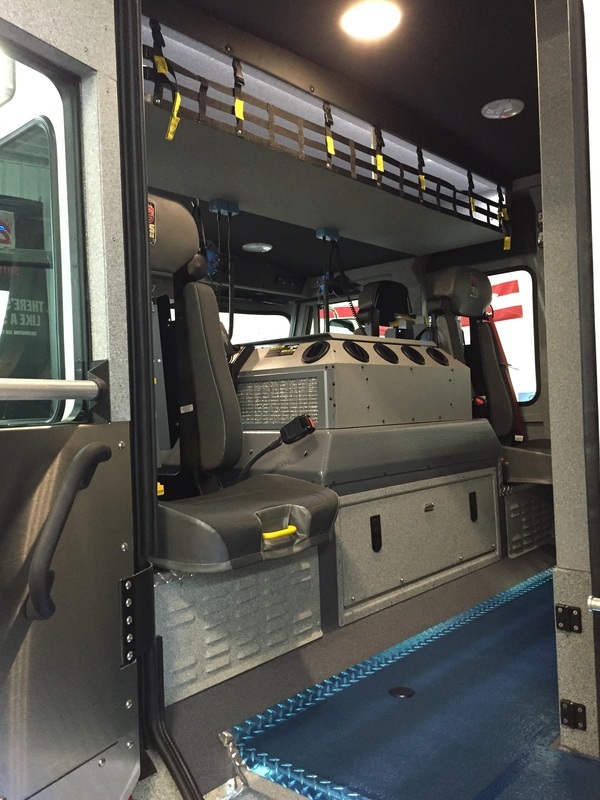 A compartment is provided under the officer’s seat, and a full through storage compartment is provided under the forward facing crew seats providing additional space for fire gear or equipment. 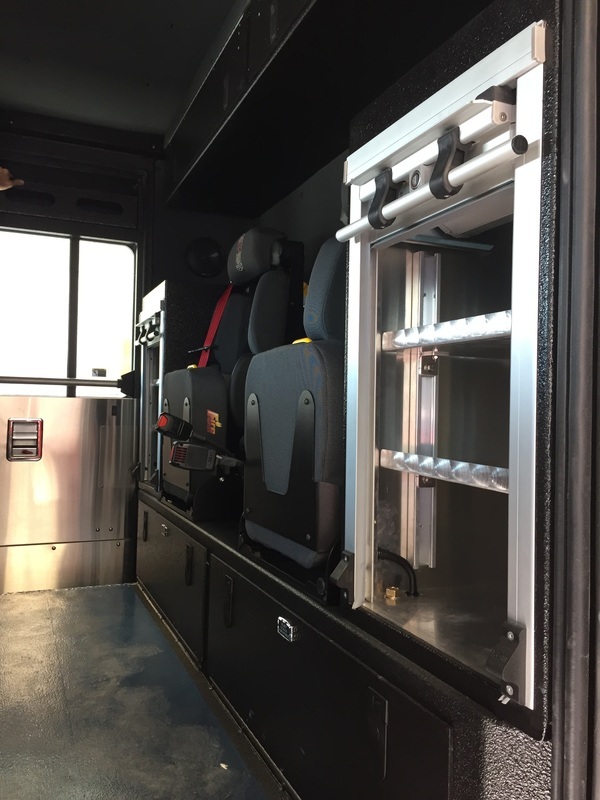 Additional storage options include a raised roof storage area, EMS glove box storage in the door, various roll-up EMS cabinet options, and behind the front seat exterior access doors.